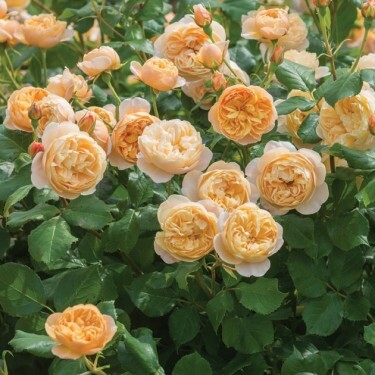 Named after one of England's best-loved authors, who's work includes 'James and the Giant Peach', this very free-flowering peach coloured rose produces blooms almost continuously. Beautiful buds open to cupped peach rosettes with a lovely Tea fragrance. It matures into a very attractive, rounded, bushy shrub with few thorns.